Diabetes is a disease that interferes with the body’s ability to use and store sugar and can cause many health problems. One, called diabetic retinopathy, can weaken and cause changes in the small blood vessels that nourish your eye’s retina, the delicate, light sensitive lining of the back of the eye. These blood vessels may begin to leak, swell or develop brush-like branches. The early stages of diabetic retinopathy may cause blurred vision, or they may produce no visual symptoms at all. As the disease progresses, you may notice a cloudiness of vision, blind spots or floaters. If left untreated, diabetic retinopathy can cause blindness, which is one reason why it is important to have your eyes examined regularly by your doctor of optometry. This is especially true if you are a diabetic or if you have a family history of diabetes. 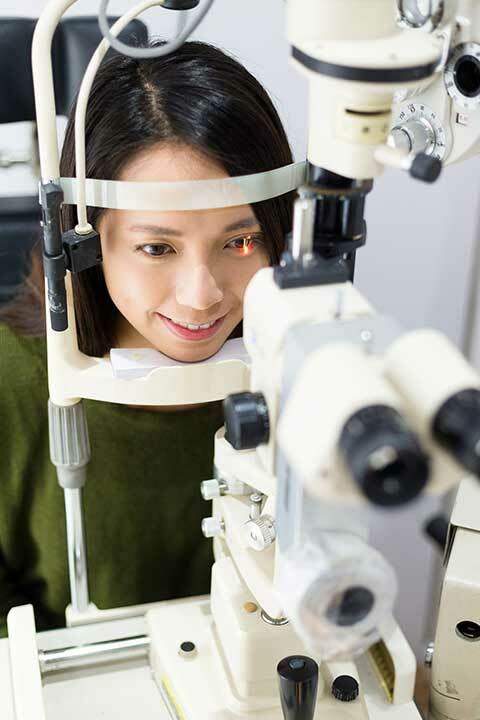 To detect diabetic retinopathy, your optometrist can look inside your eyes with an instrument called an ophthalmoscope that lights and magnifies the blood vessels in your eyes. If you have diabetic retinopathy, laser and other surgical treatments can be used to reduce its progression and decrease the risk of vision loss. Early treatment is important because once damage has occurred, the effects are usually permanent.